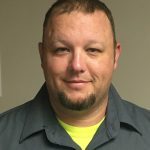 CEDAR FALLS, Iowa (August 29, 2017) – Dalton Plumbing, Heating, Cooling, Electric and Fireplaces, Inc. announces four new hires: John Abbott, Brad Pieper, Jordan Schmitz and Duane Wilson. 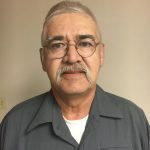 John Abbott is a veteran HVAC Technician and brings more than 30 years’ experience to Dalton. 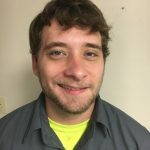 Brad Pieper is a Level 1 HVAC Technician and is currently working towards his HVAC certification. Jordan Schmitz is new to the industry and was hired as a Level 1 Apprentice. 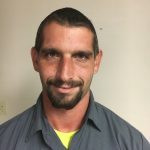 Duane Wilson is a Level 1 Plumbing Technician with 8 months experience in this industry. Is a Heat Pump the Right Choice for You? Earlier this year, we went over some of the benefits of heat pump systems, stating how efficient they were to use as a cooling system. One of the best parts of these systems, though, is that they are year-round climate control systems—providing effective cooling in the summer and heating in the winter. As the weather begins to cool, now is the perfect time to start thinking about a Waverly, IA heat pump installation, if you’re considering a new heater before winter comes. If you’re looking at new heating systems this fall, you would do well to consider the many advantages that a heat pump brings. A heat pump operates according to the same principles of a central air conditioning system, except that it has a reversing valve that allows it to heat during the winter. Posted in Heat Pump | Comments Off on Is a Heat Pump the Right Choice for You? How Can You Lower Your AC Use? Temperatures may be slightly cooling down around here, but that doesn’t mean we’re quite out of the woods yet with our summer temperatures. You’ve probably been using your air conditioner on a pretty regular basis for the past few weeks, and as such it’s only natural that you’d like to find a way to cool off that doesn’t require spending so much on energy bills! 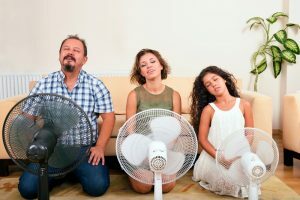 Perhaps the better question, however, is rather than how to lower your AC use, how to get the most out of your air conditioner and how to stay cool otherwise, to reduce your reliance on your cooling system, and therefore reduce your cooling bills. Of course, when you do need air conditioning services in Janesville, IA, we are the team to call. In the meantime, we’ve shared some helpful tips below. Posted in Air Conditioning | Comments Off on How Can You Lower Your AC Use?